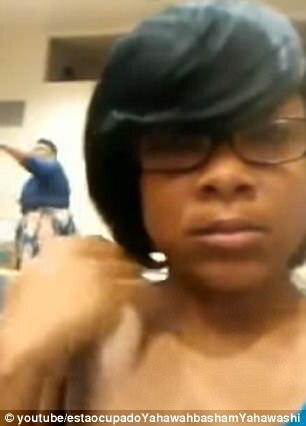 Video has captured the awkward moment a woman stood up in the middle of a church service and accused the married pastor of sleeping with her daughter. 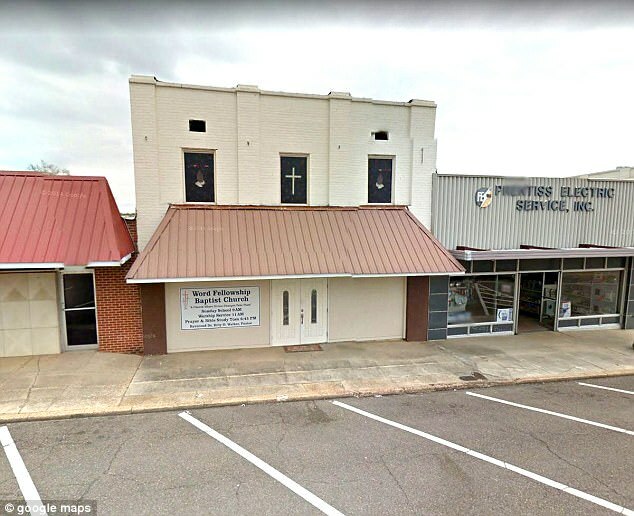 On Sunday at Word Fellowship Baptist Church in Prentiss, Mississippi, a woman stood up in the pews and made allegations that Pastor Billy Walker had been carrying on an affair with her daughter for three years. According to the woman, the pastor had called the police on the daughter after she confronted him about him having another woman on the side. Video has captured the awkward moment a woman stood up in the middle of a service at Word Fellowship Baptist Church in Prentiss, Mississippi, and accused married Pastor Billy Walker of sleeping with her daughter (left and right). Meanwhile, shocked parishioners sit motionless as the mother yells at Pastor Walker to leave her child alone. 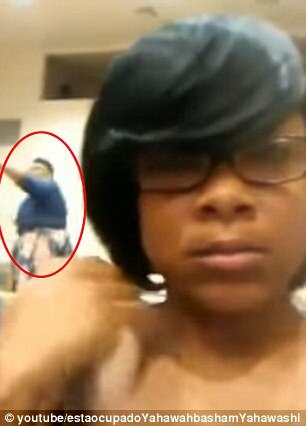 'After all this time you're going to press charges against her,' the woman, wearing blue top and floral skirt yells. Meanwhile shocked parishioners sit motionless as the mother yells at Pastor Walker to leave her child alone. 'I'm a mother, that's my child. 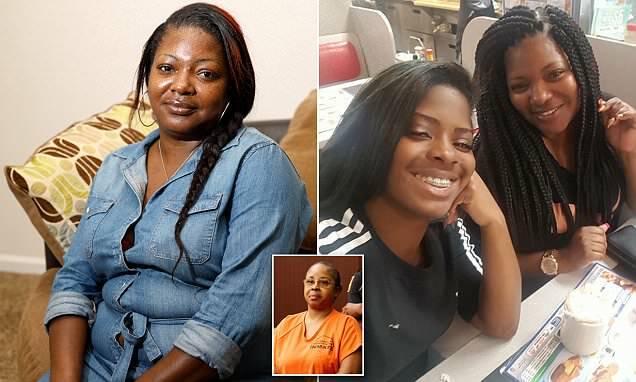 No mother in this church would do what I'm doing for my baby,' the woman continues. According to the person who uploaded the clip, Pastor Walker's wife, Vivian, was sitting in the pews while the incident occurred. DailyMail.com has reached out to the church for a request for comment. There’s a scandal brewing in the small town of Prentiss, Mississippi. The pastor of the Word Fellowship Church – Pastor Walker – is being accused of some really SCANDALOUS THINGS – by a member of his church. 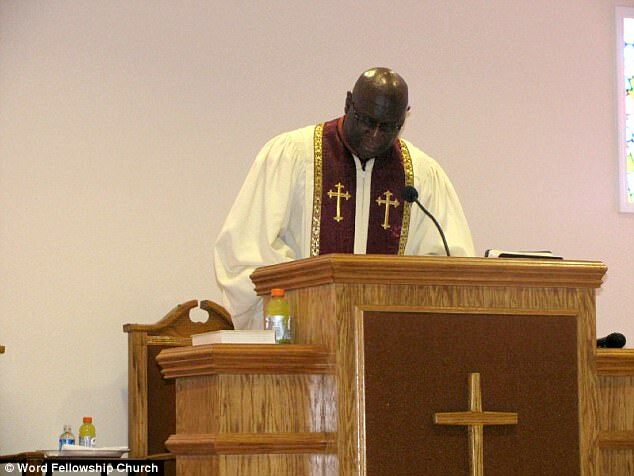 On Sunday, while in the middle of Sunday Service, a woman stood up in the pews and started making SHOCKING allegations – that the pastor was sleeping with her daughter. 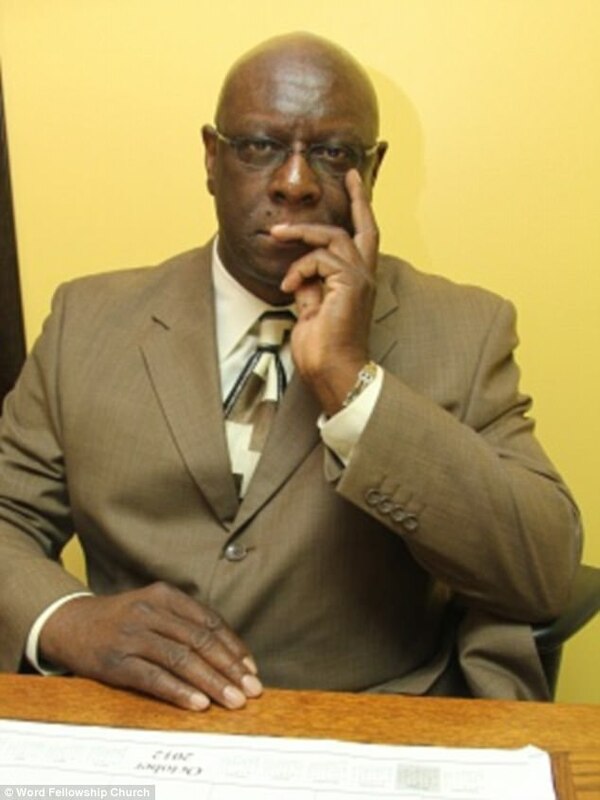 According to the woman, the Pastor was sleeping with her young daughter, and the pastor CALLED THE POLICE on the daughter – after she confronted the pastor about him having a SECOND jumpoff. The Pastor’s WIFE was in the pews while all this was going on. GospelPan schooled her.......LOL! Mr1stroke that is a dang shame. CHIQUITA, bare in mind that 1 Corinthians 16:1-4 talks about a collection not a tithe. Read Deuteronomy 14:22-23 and you will see that a tithe is food, wine or the firstborn of your herds and flocks, it is not cash. Also read numbers 18:21-31. Tithes as implemented by the church is a scam and it’s not biblical. Malachi 3:10 is talking about food, not money. you did the right thing because you will never learn the truth of who you are or what the Bible teaches if you stay in church. Going off to heaven when you die is just one of many lies (read John 3;13), when the meek are to inherit the earth. Study at home and remember to help the poor instead of giving away 10% of your hard money when God never told you to do that. And this is why I'm not a member of a church. People act like cause you in the church you can do no wrong. When I was a member I saw an experienced so much from them Christian fakers. I know some folks are true, but when you have a married man caressing your hand in a prayer circle and his wife is in the prayers circle too. Lawd, I just happy at home with my bible. Believe in the Lord and read your bible. You don't need to be apart of the fakers churches while they at home cussin', drinking, sleeping around etc. That's a regular thing with especially these black churches thhats why I don't go, God does not dwell in places like that.